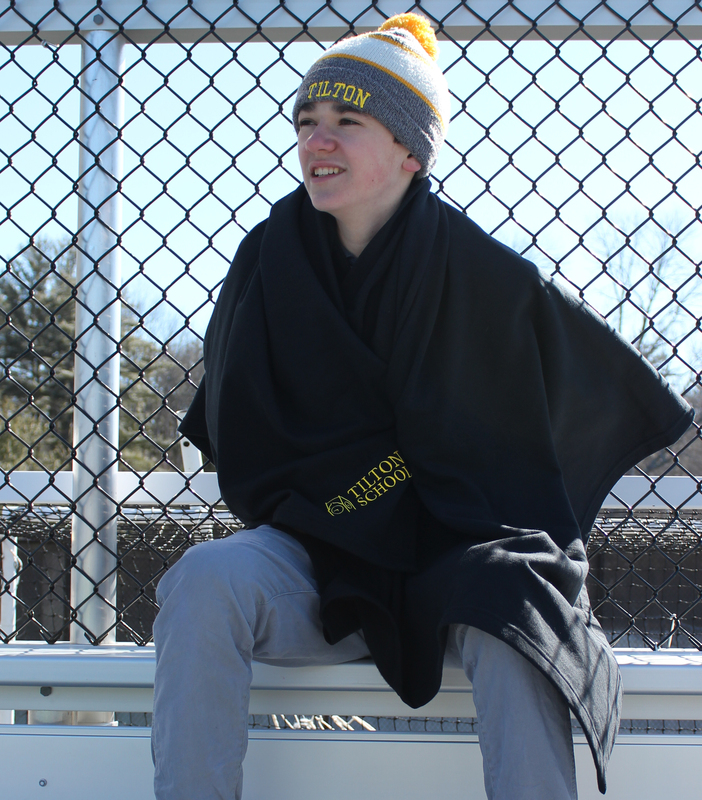 Black sweatshirt material blanket with embroidered Tilton School clocktower logo. 50% Cotton/50% Polyester. Approximate size 50 x 60.